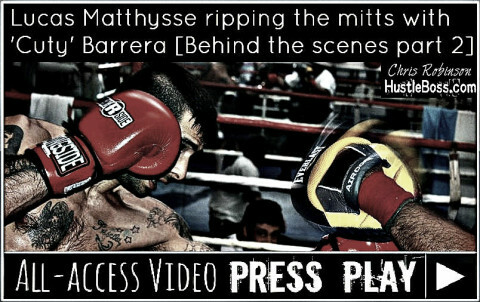 More all-access coverage from Lucas Matthysse’s training camp in Indio, Calif. as he rips the mitts with his trainer Luis ‘Cuty’ Barrera ahead of his Sept. 14 duel with Danny Garcia. Despite asking several boxing luminaries for their thoughts on the Floyd Mayweather vs. Saul ‘Canelo’ Alvarez super fight, I’ve had trouble finding anyone who gives the young champion from Jalisco, Mexico a clear edge in the matchup. Mayweather’s combination of ring acumen, experience, and talent are just too much for most people to overlook despite all of Alvarez’s upside as a prizefighter. 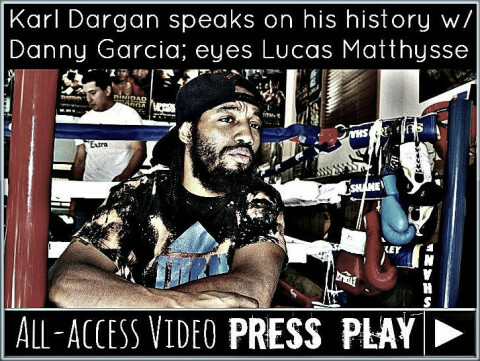 During a recent swing through the Indio Boys and Girls Club in Southern California, I was able to get some input on the fight from one of the hottest names in the sport, Lucas Matthysse, and the Argentinean’s answers did surprise me a bit. 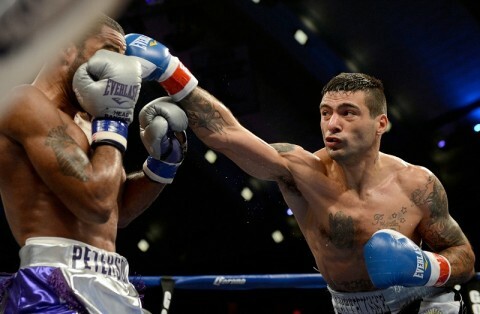 The WBC interim junior welterweight champion at 140 pounds, Matthysse will face off with WBA/WBC champion Danny Garcia on the Mayweather-Alvarez undercard on Sept. 14 inside of the MGM Grand in Las Vegas. 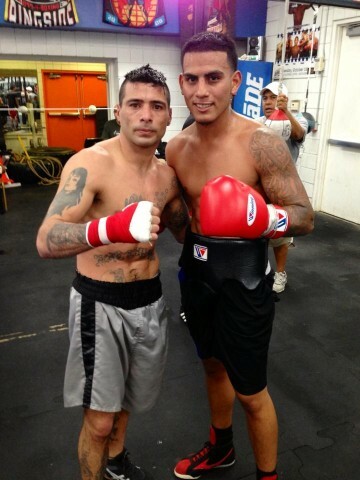 When asked who he favors in a Mayweather-Alvarez duel, Matthysse hesitated just a bit. 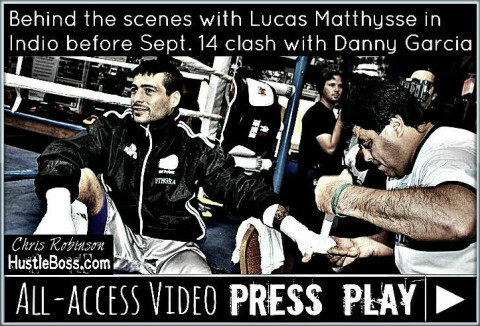 Exclusive photos from the training camp of WBC interim junior welterweight champion Lucas Matthysse (34-2, 32 KO’s) in Indio, Calif. as he prepares for his Sept. 14 bout with WBA/WBC champion Danny Garcia, set to take place on Showtime pay per view from the MGM Grand in Las Vegas. 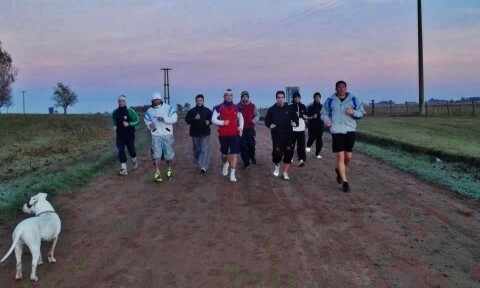 Exclusive photos: Lucas Matthysse continues training in Argentina; move to Los Angeles on the horizon? 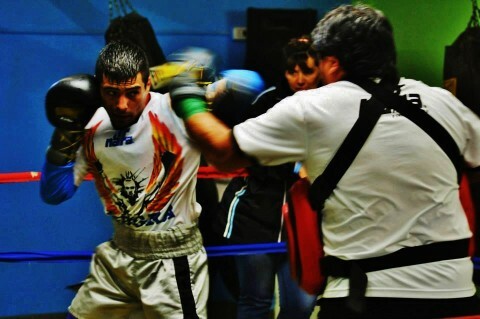 More exclusive photos from the camp of WBC interim junior welterweight champion Lucas Matthysse in the province of Buenos Aires, Argentina as he trains for his Sep. 14 clash with WBA/WBC champion Danny Garcia. 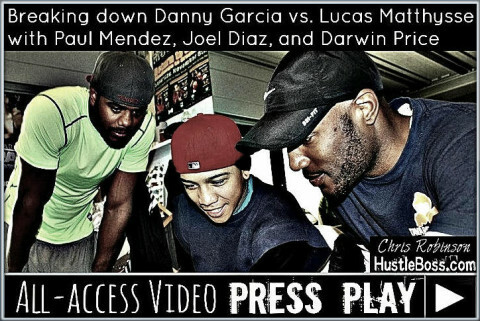 Although all indications point towards Matthysse having a strong camp in his homeland, sources close to the prizefighter have advised HustleBoss.com that Lucas and his team could likely be hitting Los Angeles later this week to finish up their preparation. 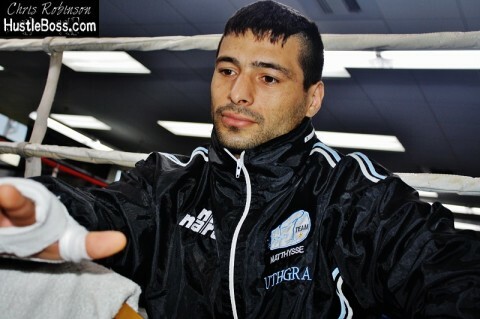 Garcia-Matthysse takes place from the MGM Grand as part of the Floyd Mayweather-Saul Alvarez “The One” Showtime pay per view extravaganza. 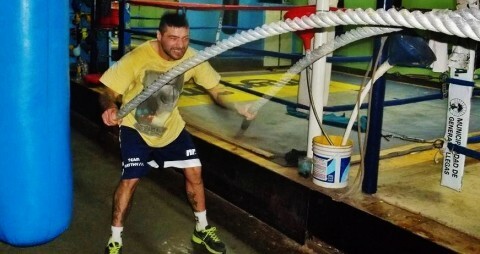 The training camp of WBC interim champion Lucas Matthysse (34-2, 32 KO’s) is in full swing down in Buenos Aires, Argentina, ahead of his Sept. 14 date with WBA/WBC champion Danny Garcia (26-0, 16 KO’s) in Las Vegas. 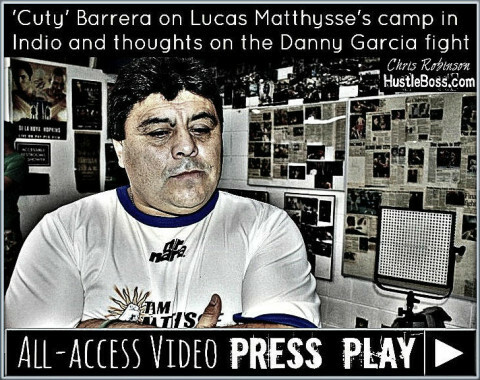 HustleBoss.com caught up with Matthysse’s trainer Luis “Cuty” Barrera and got some insight into how camp is shaping up thus far. 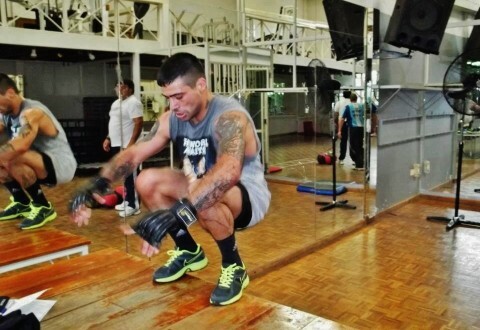 Barrera revealed that Matthysse begins his daily regimen at 7 in the morning with his strength and conditioning coach Gerardo Pereyra, whom he works with until 9 a.m.
As mentioned in a previous article by HustleBoss.com, WBC interim junior welterweight champion Lucas Matthysse has kicked off his training camp in his native Argentina ahead of his September 14th match vs. WBA/WBC champion Danny Garcia. 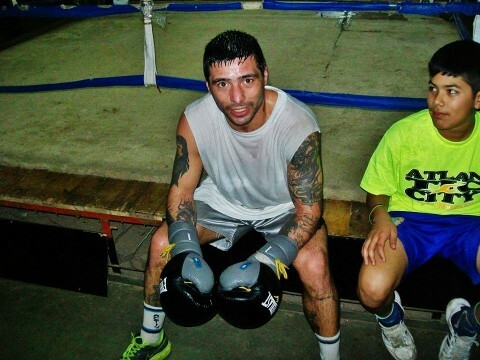 Matthysse is training in the city of Junin in the province of Buenos Aires and will begin sparring in a few weeks’ time. 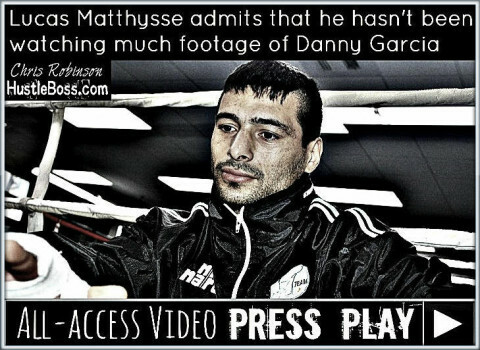 Mattysse vs. Garcia serves as the chief support bout to the Floyd Mayeather vs. Saul Alvarez Showtime pay per view extravaganza. 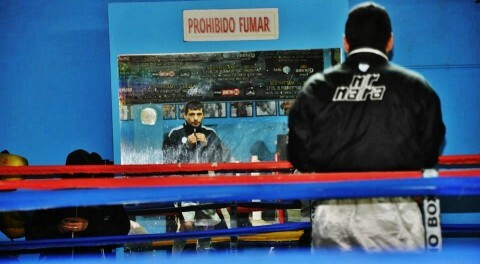 Expect much more from Camp Matthysse in the coming weeks. 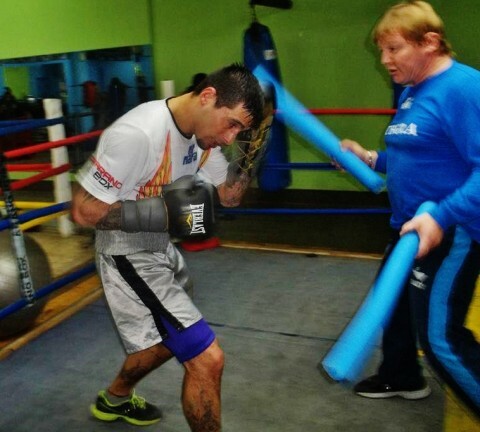 WBC interim junior welterweight champion Lucas Matthysse has been blessed with the biggest opportunity of his career as his Sept. 14 clash with WBA/WBC champion Danny Garcia was recently announced to great fanfare. 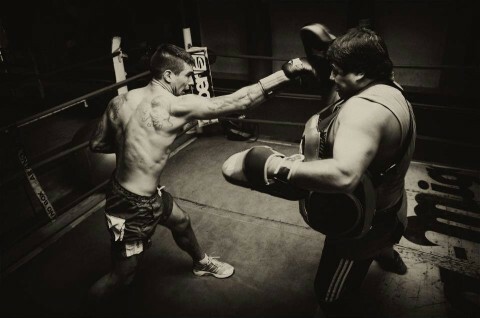 Fighting as part of the Floyd Mayweather-Saul Alvarez Showtime pay per view event from the MGM Grand in Las Vegas, Matthysse will have all eyes locked on him as he looks to derail the streaking Garcia while announcing himself as the man to beat at 140 pounds. 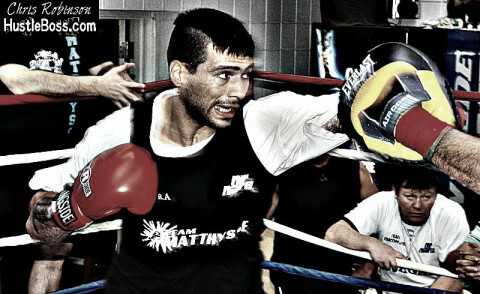 Over the weekend, a source from within Matthysse’s camp reached out to HustleBoss.com to give us some updates on Lucas’ mindset and his early training.